But boiled peanuts, now that’s different.. of course you can eat those out of that dingy jar that’s probably been there all week.. It’s ok really..
Like I was saying, Pecan Pie is a southern desert made mostly (but not limited too) Pecans, molasses, brown sugar, corn syrup and eggs; and just about everyone’s grandmother, mother, sister, uncle, dog and cat has a recipe for it.. I’ve tried several of these recipes and I’ll say that my taste tend to lean toward the ones with a few cups teaspoons of Bourbon.. This chewy toasted pecan delight often encased in buttery pastry, was served at just about every Thanksgiving, Christmas, Baptism, Wedding, Thank The Lord Jesus it’s Sunday Dinner I’ve eaten since I was running around trying to show people my knickers.. But never at breakfast.. 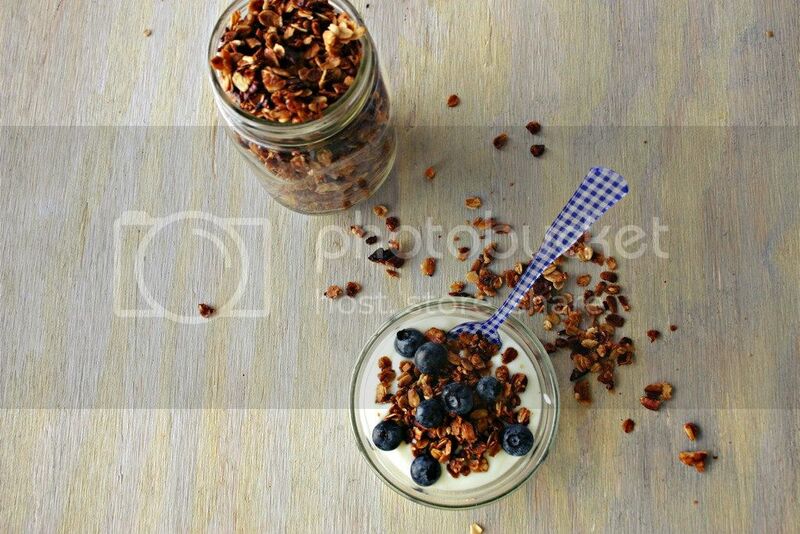 Which always had me wondering how can I have my slice of Pecan Pie for breakfast.. 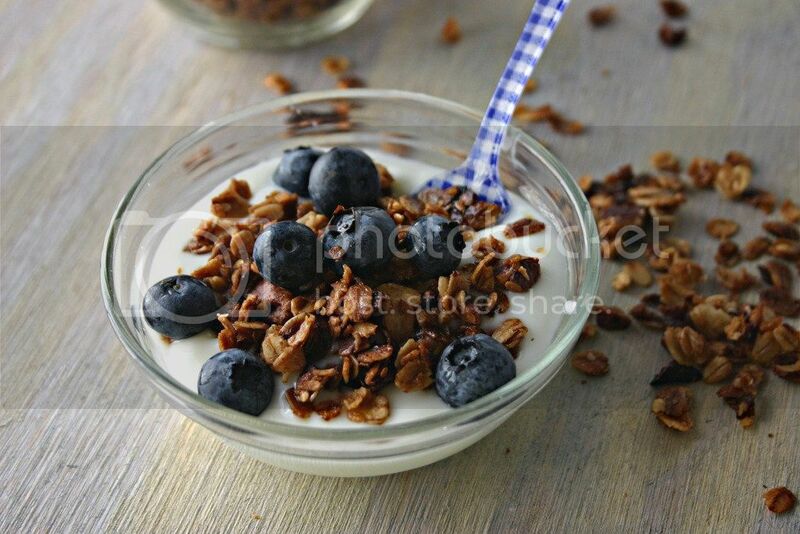 Mix together oats, pecans, coconut and flax seeds in a large bowl. 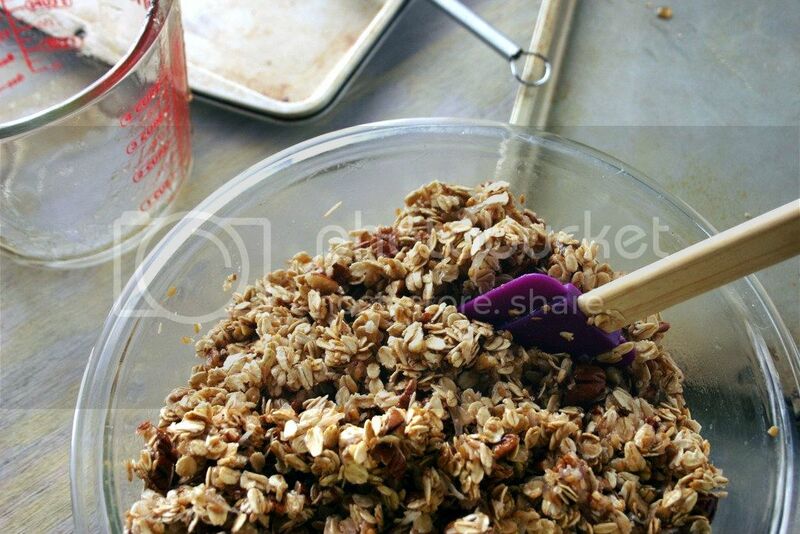 In a separate bowl whisk together the oil, syrup, brown sugar and salt. 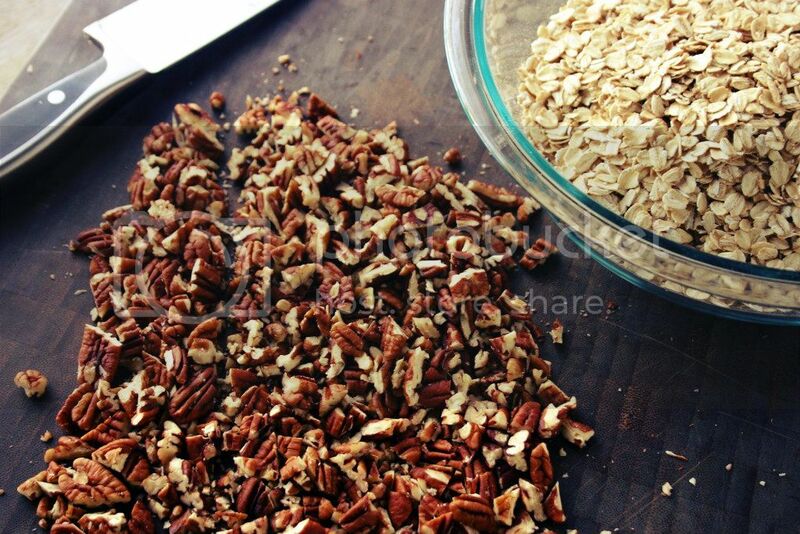 Pour oil mixture over rolling oats mixture, and toss thoroughly. 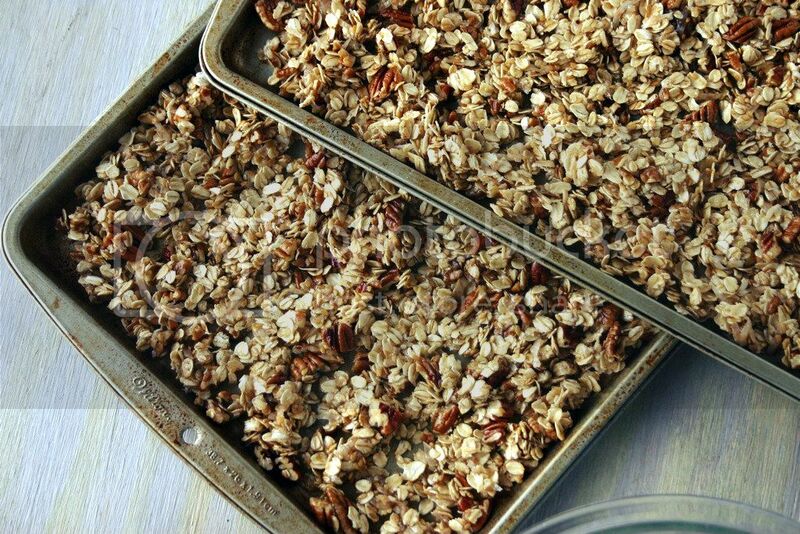 Evenly spread out oat mixture on two rimmed baking sheets . Bake for 20 minutes, stirring halfway through, until golden. 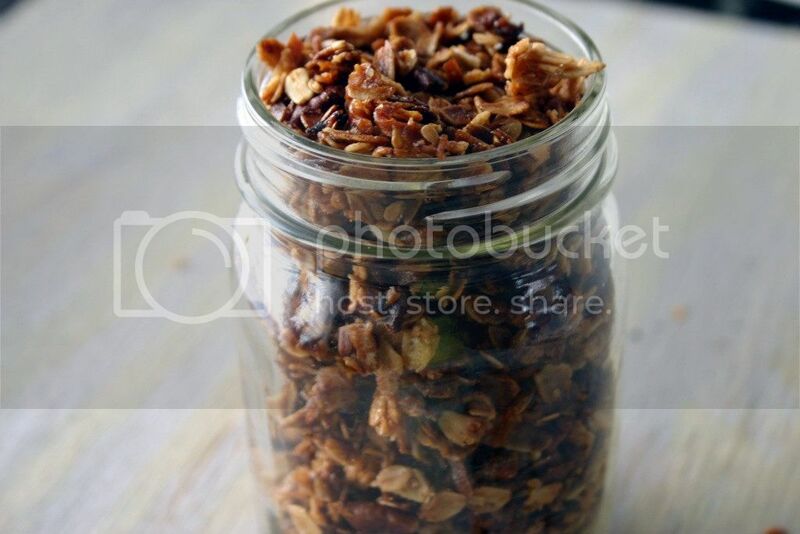 Let granola cool completely before storing in a container.